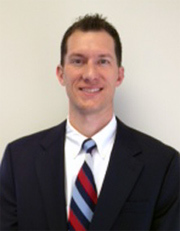 Meet Edward R. Skerbetz, D.C.
Dr. Eddie Skerbetz is a native of the Pittsburgh area, and graduated from the University of Pittsburgh with a Bachelor’s Degree in Biology. He then attended Life University, where he received his Doctorate of Chiropractic Degree. He as been practicing in the Pittsburgh area for 13 years, and he owns and operates Chiropractic Advantage Center in Robinson Township. Dr. Eddie enjoys having a family-based practice and he currently sees thousands of patients from infants to the elderly from the Robinson, Moon, Kennedy, Crafton, Imperial, Oakdale, McKees Rocks, Carnegie and WV areas. He also donates his time to provide community wellness and educational events. This gives him the opportunity to educate as many people as possible on the many issues surrounding health, and especially focus on preventative health issues. In his free time, Dr. Eddie enjoys spending time with his two sons. He helps to coach their teams in basketball, baseball, soccer, and flag football. Dr. Eddie also enjoys playing golf and relaxing with friends and family. Dr. Eddie also enjoys playing golf, playing softball, and running. He is a big sports fan and follows all sports from high school, college, and professional levels. He enjoys sharing his love of sports with his two sons. He looks forward to and spending time with family and friends. Sound interesting? Contact Chiropractic Advantage Center now to schedule an appointment and begin care today.